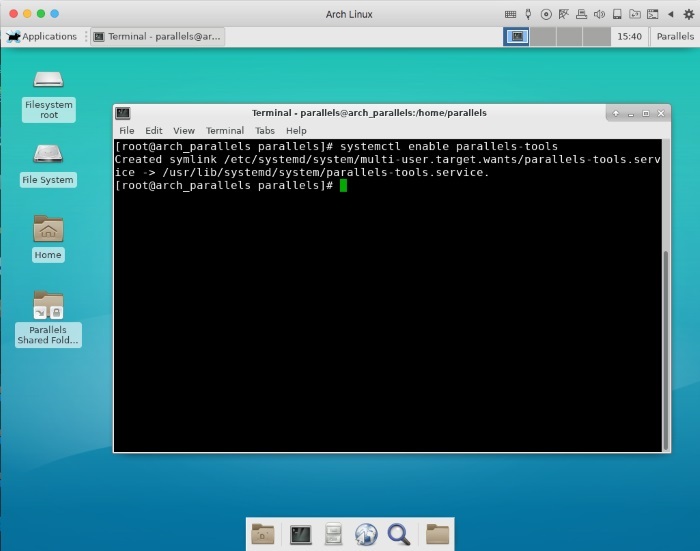 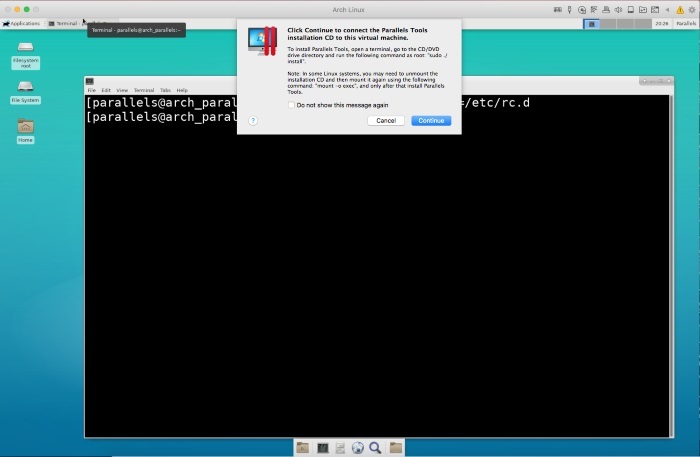 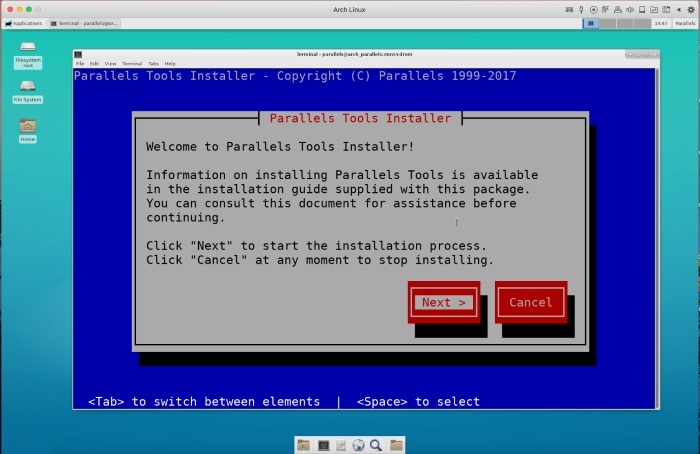 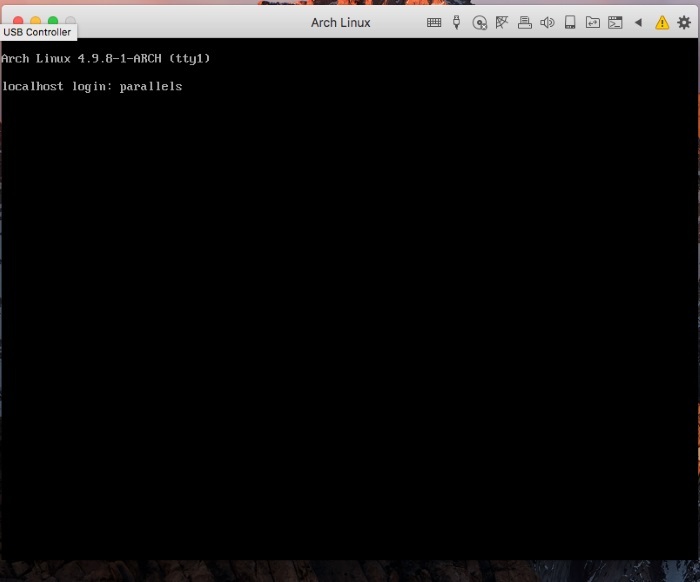 This page has instructions on installing Arch Linux on your Mac for the first time to use with Parallels Desktop. 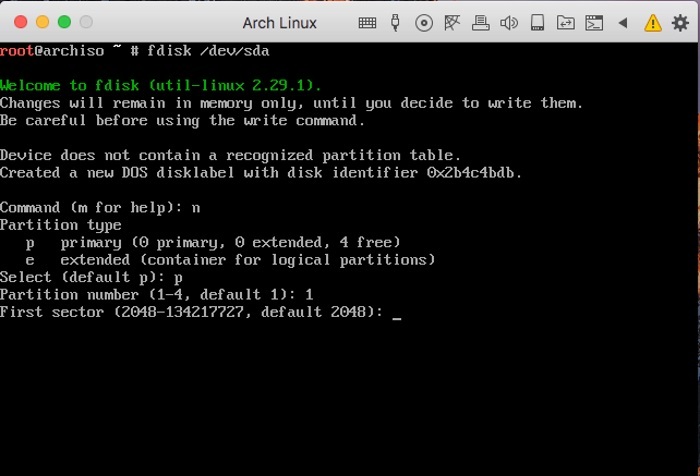 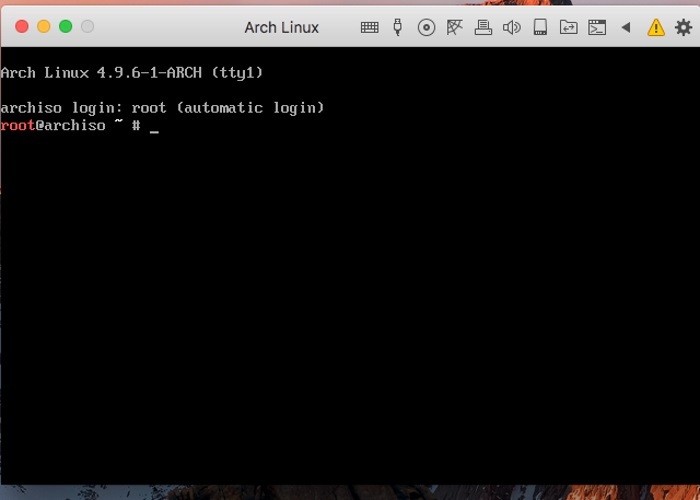 IMPORTANT: Arch Linux is a dedicated Unix distributive. 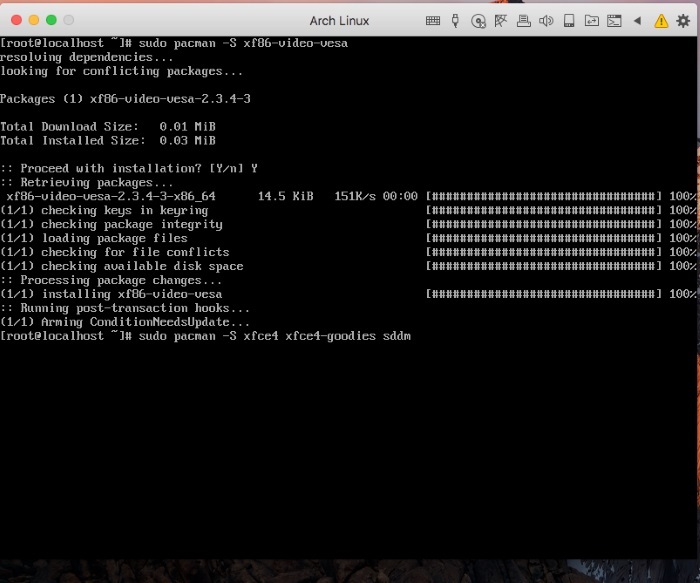 Working with it may require some additional technical background. 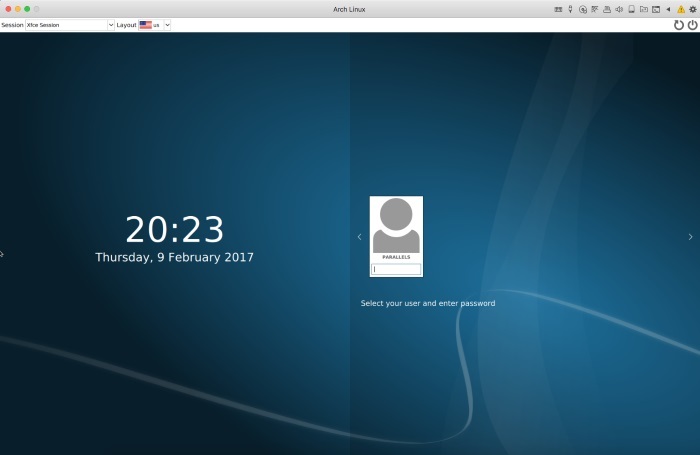 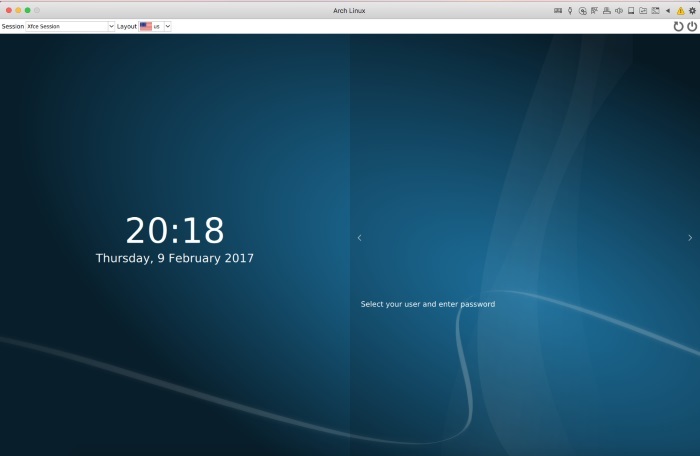 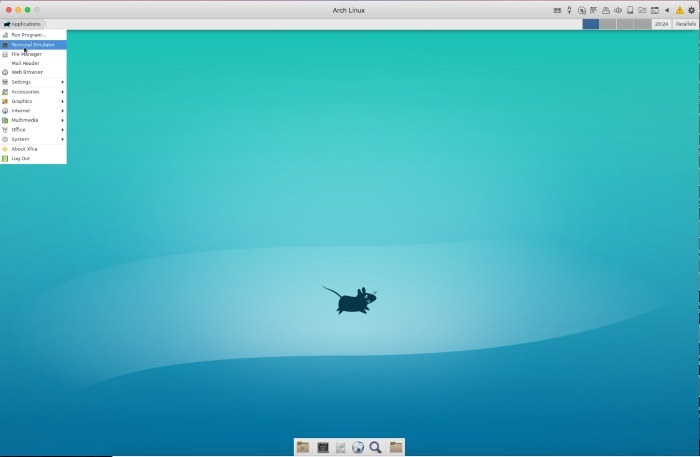 Download latest Arch Linux .iso image file from Arch Linux website. 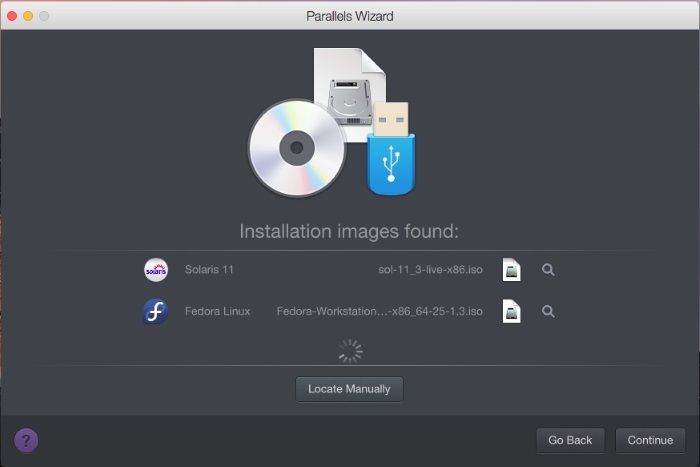 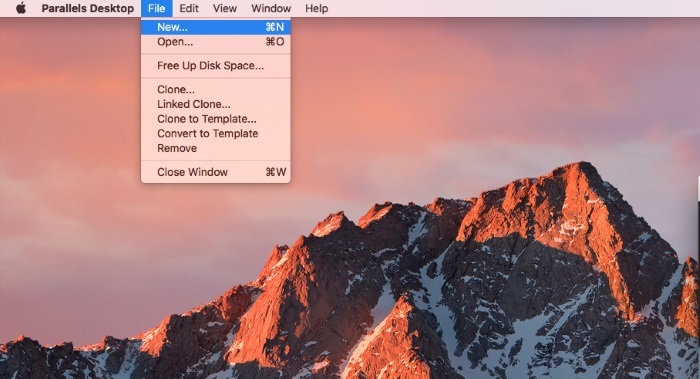 Start Parallels Desktop, then click File -> New. 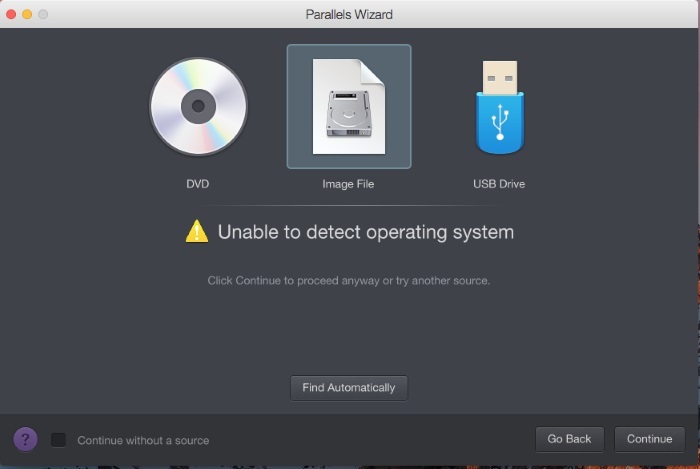 Choose Install Windows or another OS from a DVD or and image file, then click Continue. 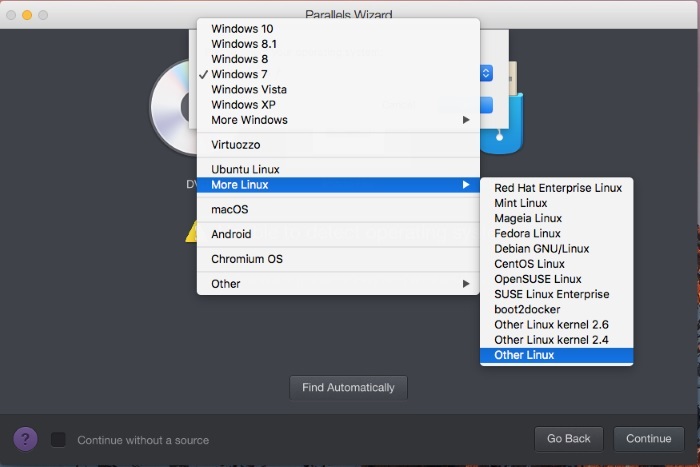 Once pop up windows appears, select Other Linux. 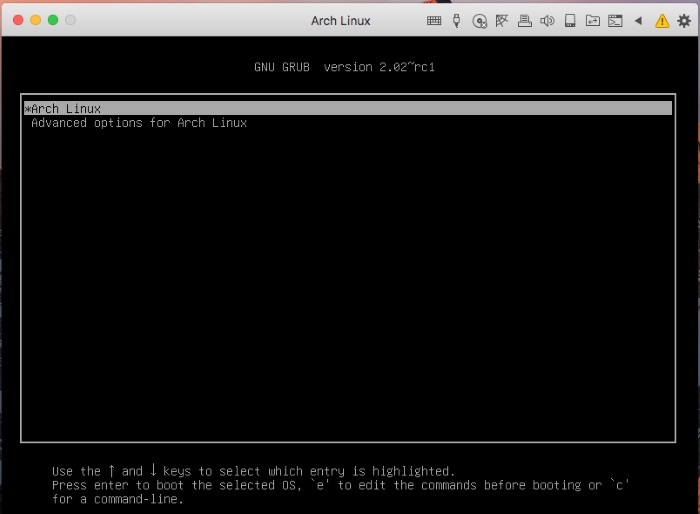 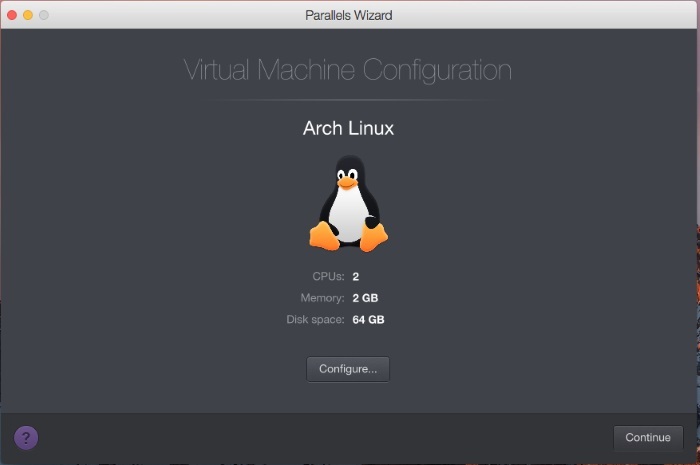 Specify the name and location of your Arch virtual machine(VM) or leave the default settings, then click Continue. 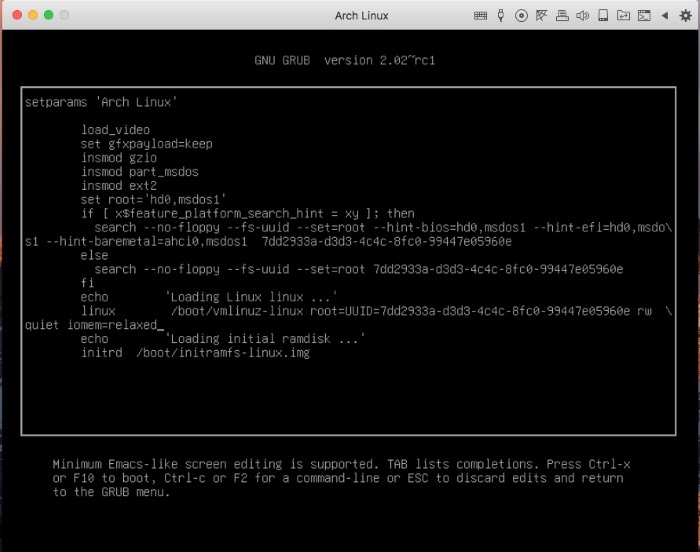 Arch Linux VM will be created and Arch Linux will start booting. 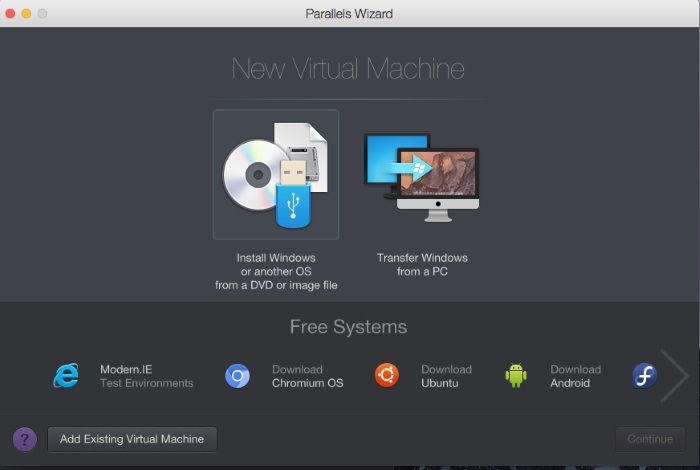 Click inside the virtual machine screen, then select "Graphical Install". 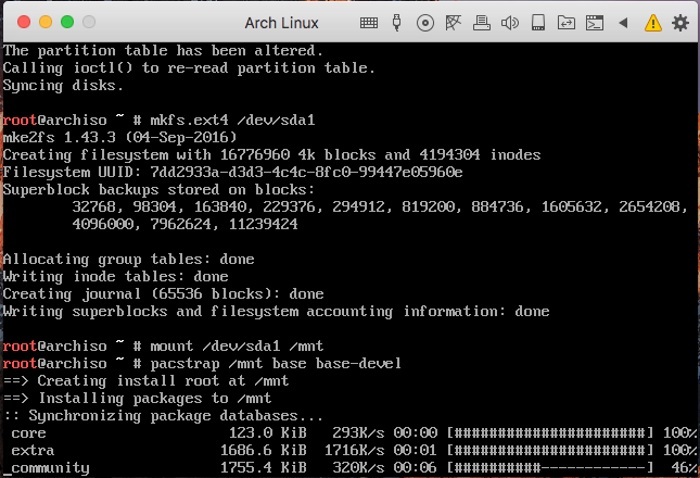 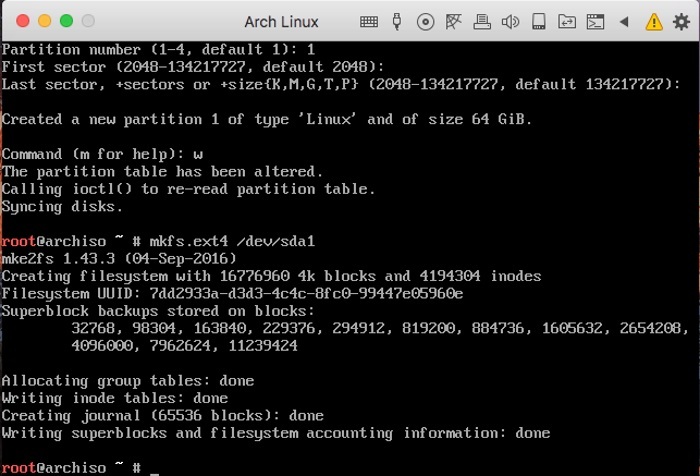 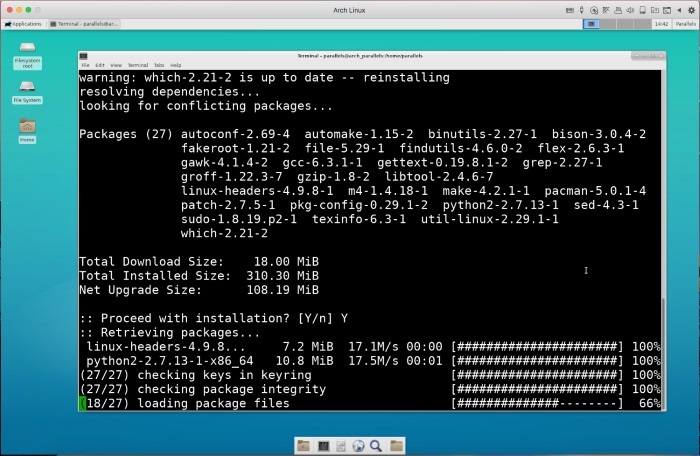 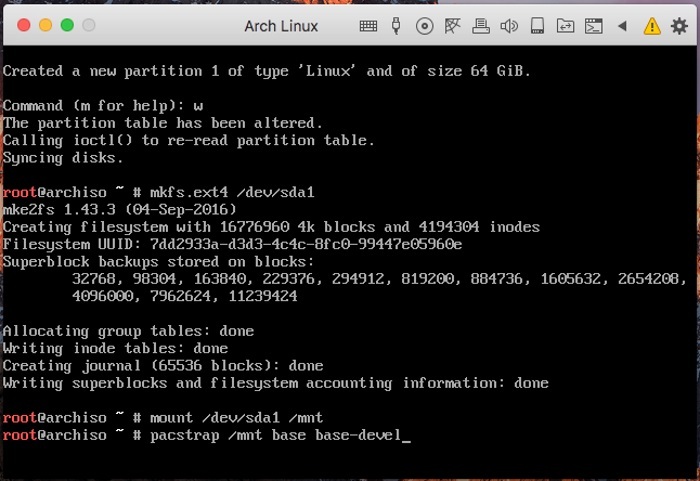 Once Arch Linux is booted, go through standard Arch Linux installation steps. 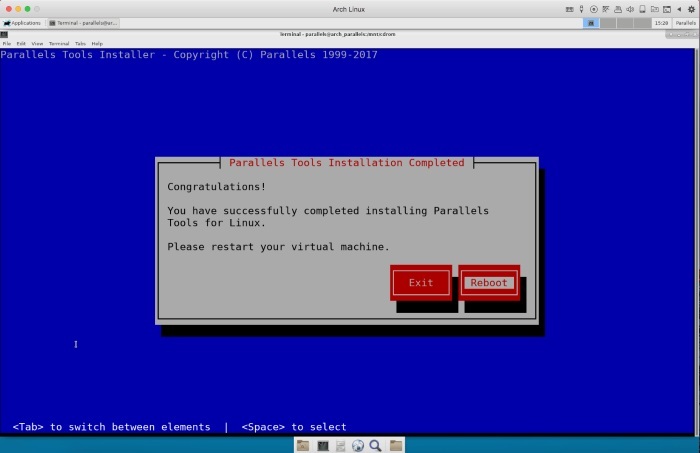 After Arch Linux is installed, restart the virtual machine. 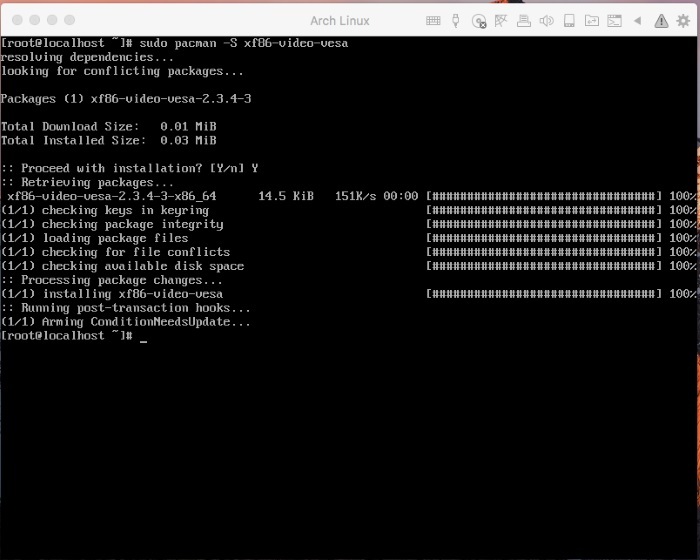 Install updates for Arch Linux. 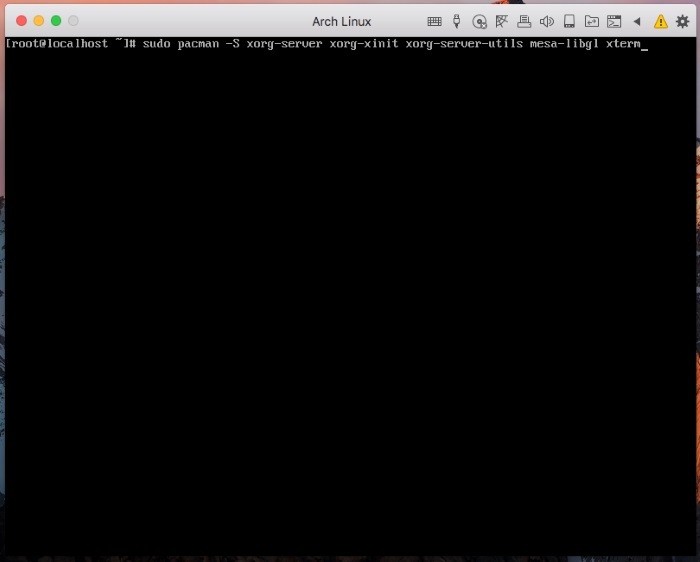 Restart Arch Linux VM. 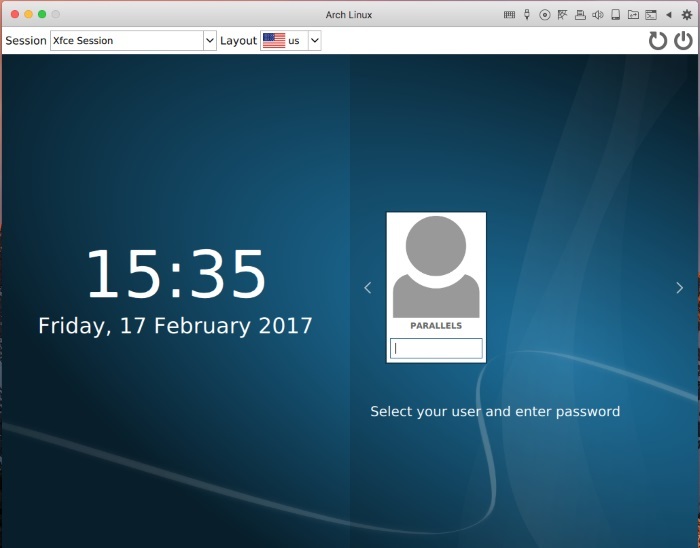 Then log into graphical desktop. 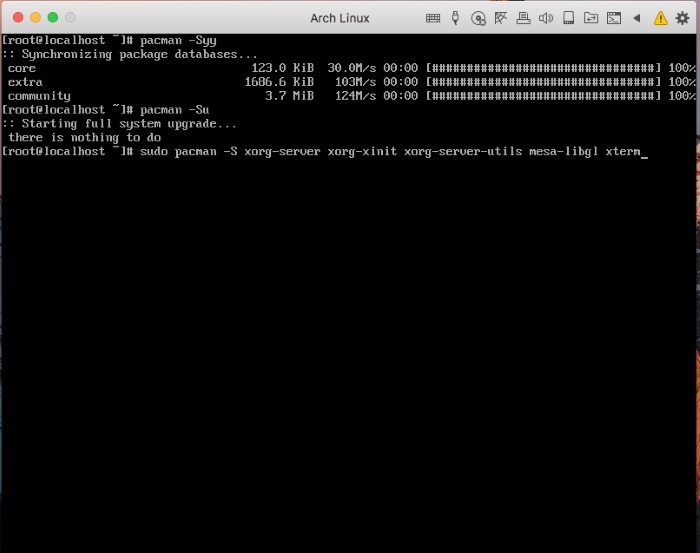 Prepare dependencies and install essential packages. 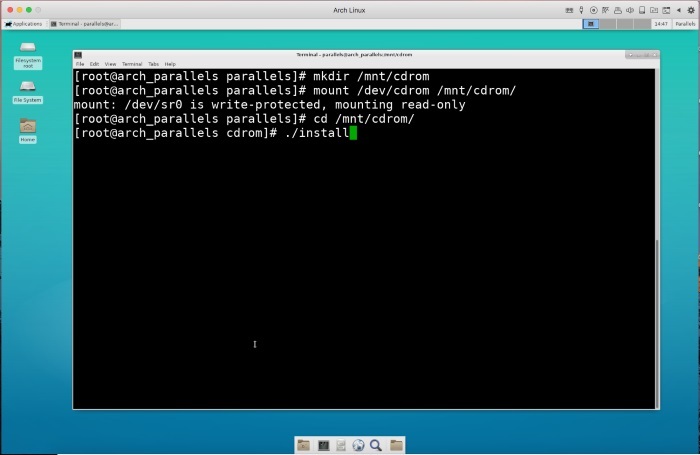 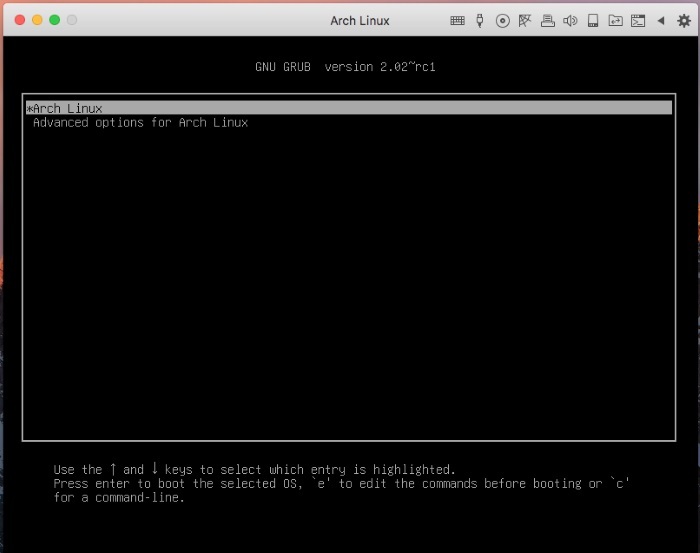 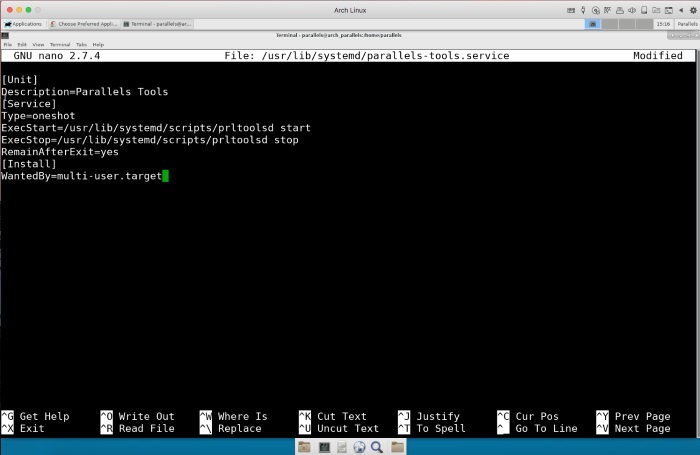 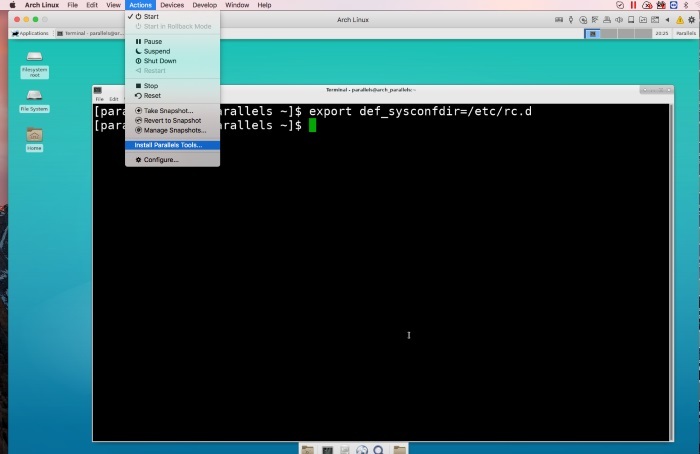 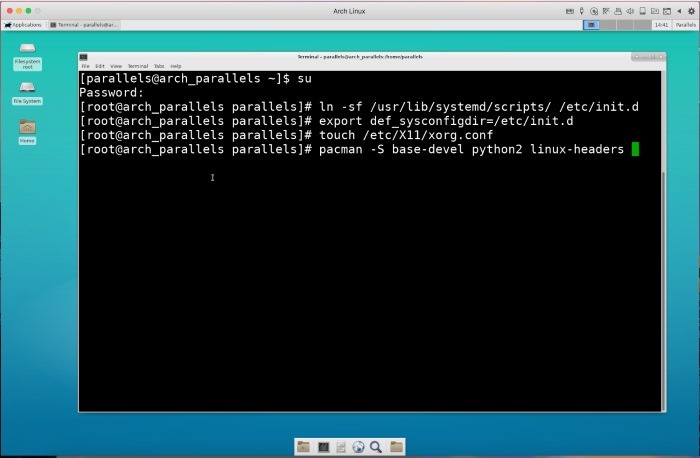 Launch Arch Linux Terminal, then copy and execute following commands one by one. 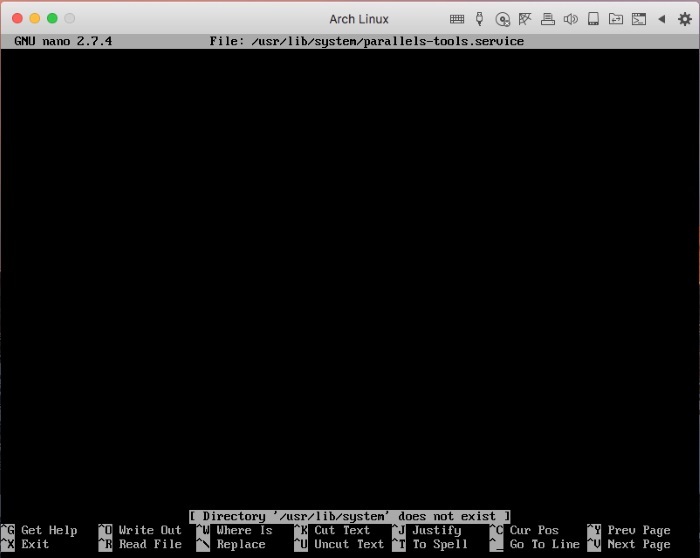 In Arch Linux Terminal copy and execute following commands one by one. 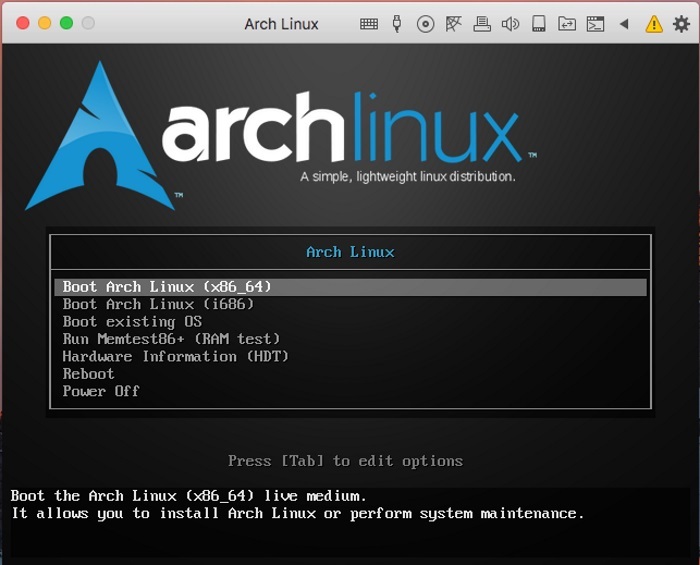 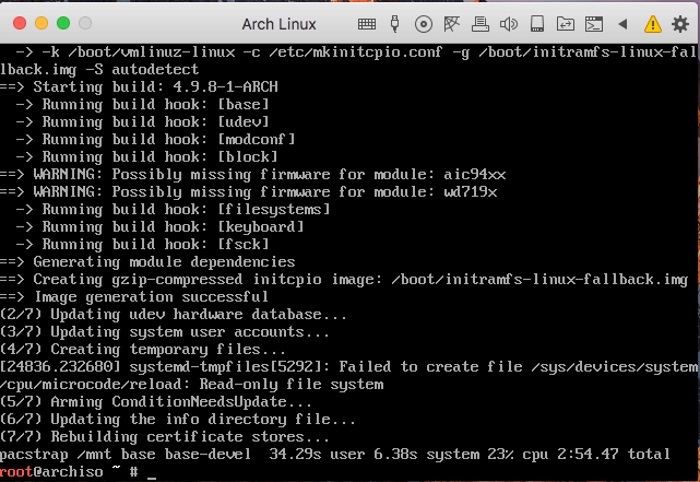 Proceed with booting Arch Linux VM. 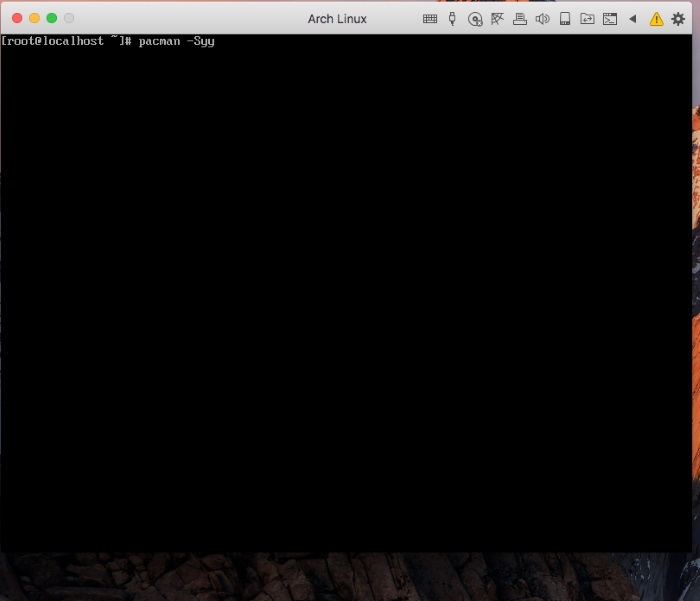 IMPORTANT: In order to be able to use Coherence view mode in Arch Linux VM, please check Disabling Desktop Visual Effects in Linux virtual machines.